That we seem to place highest value on being entertained is not the most flattering observation that could be made about our society. Unfortunately, it’s true. Who makes more money — the brain surgeon or the rock star? The university president or the NFL left tackle? The school teacher or the movie star? 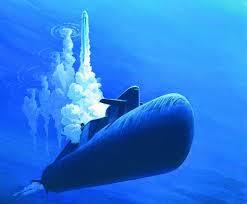 The guy cruising the ocean floor in charge of ten nuclear missiles or a backup forward in the NBA? The guy in charge of this baby and its ten nuclear warheads makes way less than an NBA bench warmer. As much as we love our Ducks, it’s still a good idea to maintain a little perspective on what’s truly important — and educating people to do more than merely entertain us for a few years before retiring at age 29 is certainly a priority. In fact, that — and that alone — is the highest priority of higher education. This isn’t rocket surgery, yet too often, athletes — and we as fans — are lured away from this simple concept. The NFL and the NBA are highly to blame, and putting a damper on the “three-and-out” for college football and “one-and-out” for college basketball is the subject of this week’s Three-and-Out. 1. “Professional Athlete” is not a lifetime proposition. Forget that most college athletes never make it to the NFL, the NBA or the N-Anything-Else-that-Involves-Getting-Paid-to-Play-a-Game. The average career for an NFL player is between 3.2 and 6.86 years, depending on who’s doing the talking. So even under the most optimistic statistics, the average pro football player is done before he’s thirty years old. Undoubtedly, basketball players last longer, but since there are fewer of them, the number of people getting paid to play games past age thirty is not large. 2. College is about getting an education to last a lifetime. If someone is taking up space in college only to prepare himself to entertain us until he reaches age thirty, then he’s taking up space that would be better spent on someone else. Worse still — he’s getting a free ride to do it while those seeking the groundwork for a lifetime commitment to better mankind are often paying their own way. 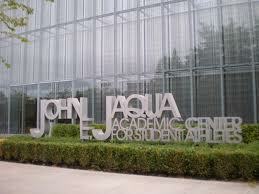 The Jaqua Center stresses the importance of academics for athletes. It is to the NCAA’s credit that scholar-athletes have a higher graduation rate than the average student population. 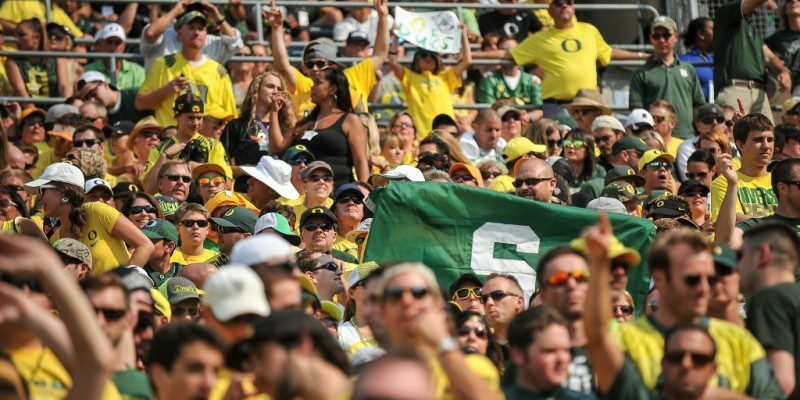 And it is certainly to the University of Oregon’s credit that it has established the Jaqua Center to help its scholar athletes contend with the dual demands of being students and athletes at the same time. Anybody who thinks it’s an easy road hasn’t been there. There are those who are shining examples — athletes who resisted the lure of big bucks to leave before completing their degrees. Oregon’s Marcus Mariota, Ifo Ekpre-Olomu and Hroniss Grasu, along with Wisconsin basketball star Frank Kaminsky, among others, all saw the priority of completing their undergraduate degrees. But then, without naming names — since the list would be unmanageably long, anyway — there are those who cut their college years short, going one-and-out to the NBA or three-and-out to the NFL. I make no bones about their rights to do it. For the amount of money they make providing us with the entertainment that we seem to value so highly, I might have done the same had I ever had that sort of talent. But here’s the kicker: They took up college space that could have gone to someone serious about completing a degree. It wouldn’t have to be a killer penalty to pay. Make it, say, 10 % of anything over $100,000 per year until the pro career is over or until the full grant in aid is paid back, whichever comes first. So the guy making $500,000 would have to put $40,000 back to his university, which is probably something he should be doing out of general gratitude anyway. 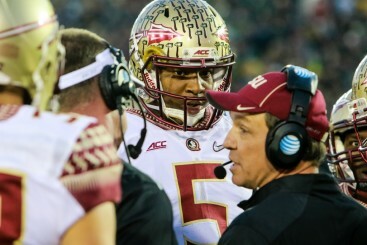 Jameis Winston shocked football fans everywhere by declining to complete his college education. Even though the payback might not amount to a hill of beans in the overall scheme of things, it would provide a number of benefits. First, it would make a statement to the athletes about the importance of a college education. It might even give them pause to reflect upon what comes after their pro careers. Second, it would help finance college educations for at least a few students for whom the proposition is a financial struggle. And finally, it would affirm the idea that universities are places to go to get an education. Athletes do get special treatment, and rightly so. They work their tails off and we enjoy watching their physical accomplishments. Hopefully we draw some inspiration from it and get up off the couch and do something for our own physical fitness. Still, if they are going to enroll in an institution of higher education, their first priority should be to get a degree that will help them contribute to society beyond age thirty. Those who get the full rides but aren’t there for the education should be given the opportunity to come clean and pay it back.